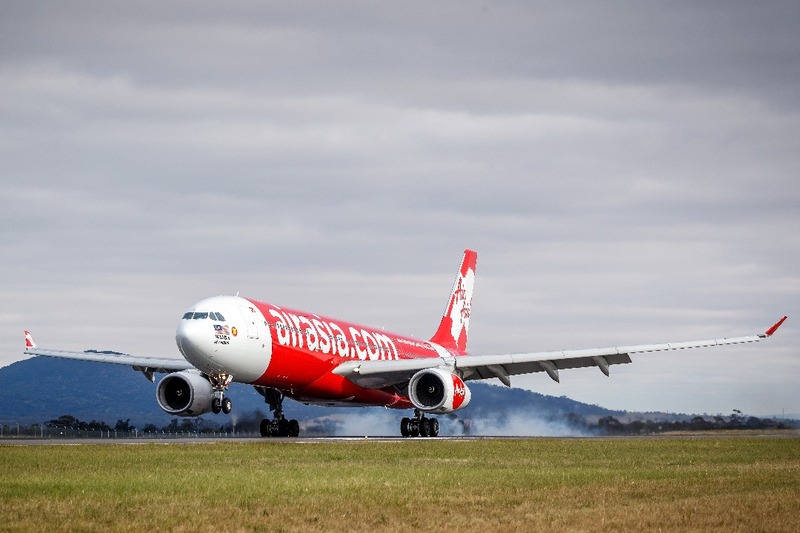 AirAsia is the first international airline to land at Avalon Airport. (From second left) Australian High Commissioner to Malaysia Andrew Goledzinowski AM, AirAsia X Group chief executive officer Nadda Buranasiri, Benyamin, Linfox Airports executive chairman David Fox, and Avalon Airport chief executive officer Justin Giddings pose for a group photo with cabin crew. MELBOURNE: AirAsia touched down at Avalon Airport here on Dec 5, launching the first international services to and from Victoria’s second airport in Melbourne’s Southwest. Operated by AirAsia’s long-haul affiliate, AirAsia X, Flight D7218 touched down at 8.20am local time with an 80 per cent passenger capacity. 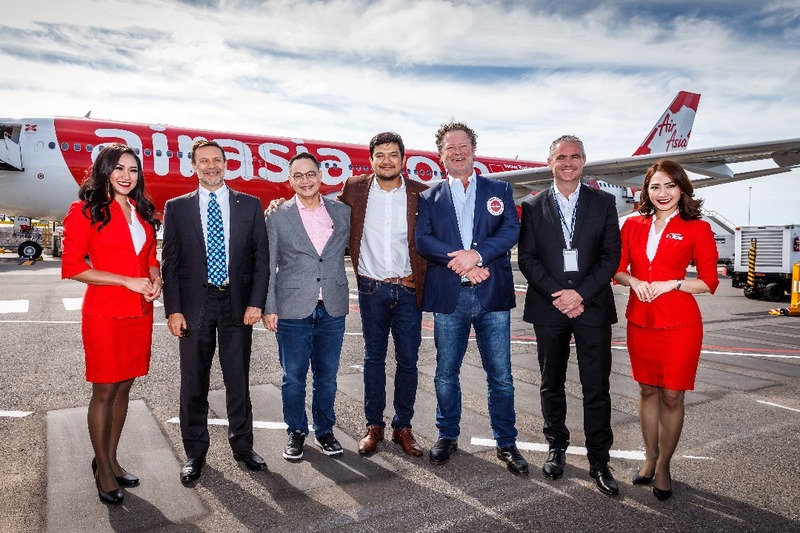 AirAsia X Malaysia chief executive officer Benyamin Ismail said the arrival of AirAsia X Flight D7218 at the state-of-the-art new low-cost carrier terminal at Avalon Airport signifies a new era for travellers and for the AirAsia Group in Australia. “AirAsia’s inaugural landing at Melbourne Avalon is the result of a 10-year agreement between the Southeast Asian airline with Melbourne Avalon Airport and an investment of RM150 million from the Australian and Victorian governments to develop the infrastructure around Geelong city. “The facilities that have been specially built at Melbourne Avalon Airport today will be one of our most important international hubs outside of Southeast Asia. “Through discussions with local airport management, government and local stakeholders, we have achieved a consensus through long-term agreements offering lower operating costs for AirAsia, increased tourist arrivals, and non-aeronautical benefits of Melbourne Avalon Airport,” he told Malaysian journalists at a press conference. He explained that after more than a decade of flying operations and millions of passengers flown to and from Melbourne Tullamarine, AirAsia’s move to Avalon Airport will provide Australian guests with the opportunity to travel at great value fares to more than 130 destinations in the low-cost airline’s network throughout Southeast Asia, the Middle East, and the United States (Hawaii). “This includes Australian favourites such as Indonesia, Thailand, Vietnam, China, India and Japan. He pointed out that Avalon Airport is actually closer and the door-to-gate experience from home to the aircraft will be more convenient and affordable when factoring in freeway traffic, airport congestion, tolls and offsite parking. “We’d like to thank the Australian and Victorian governments, the Linfox family and the local region for making this transition a reality for our international guests,” he said. Benyamin said AirAsia is targeting around 500,000 passengers annually through this route. He added the airline also plans to fly to Avalon from Bangkok, Thailand and Bali, Indonesia in the near future. “Long-term deals that provide lower operating costs for AirAsia to increase its passenger volumes,” he explained. Previously, AirAsia flew from Kuala Lumpur to Tullamarine Airport. To celebrate AirAsia’s inaugural landing at Avalon, the airline has launched a Welcome to Melbourne Avalon sale with fares starting from RM499 each way from now until Dec 9.